For more than 50 years the state of South Carolina’s workforce training program, ReadySC, which works together with the South Carolina Technical College System to prepare SC’s workforce to meet the needs of businesses locating in the state. It develops, implements, and manages custom workforce training programs to support smooth, rapid startup of operations. It is a pre-employment training program provided at no cost to employers and is 100% customized to fit the needs of new and existing businesses. Working in partnership with industry, ReadySC screens, recruits, and trains employees to meet the demands of individual companies, ensure a trained workforce on the first day of operations. Instruction takes place at either the job site or at one of the region’s five technical colleges. 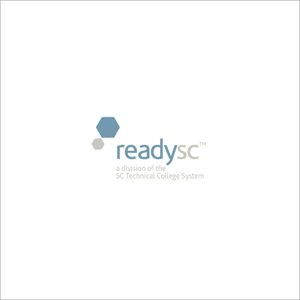 Collaborative Effort - ReadySC will collaborate with state agencies including the Employment Security Commission (ESC) and the Technical College System to recruit, screen, and train potential employees for companies who locate in South Carolina. After several screenings by ESC and other job services, client companies select which workers will be trained. The ultimate goal of the program is to provide five (5) qualified candidates for every one (1) job that the company plans to immediately create. Motivated Employment Pool - The program is voluntary for workers and all workers sign a document certifying that they understand that training does not necessarily mean that they will be employed at the company; this means that your company will have the benefit of having an available pool of self-motivated workers to select for employment. However, the company is not legally obligated to hire people who go through the program but does reap substantial financial benefits from having an applicant pool of trained workers. Service Throughout the Process - ReadySC can offer workforce training and assistance during any phase of the employee recruitment process including but not limited to advertising, pre-screening, assessment and selection of trainees. Additionally, pre-employment and/or on-the-job training are available through ReadySC. Fast track degree programs are also available. As has been the case with Roche and other more technically oriented employers, ReadySC will customize a training program for a specific type of worker for a specific company; this is not a “one size fits all” approach. All of this world class training will be offered to you at no cost to your company.